On the 13th (Thu), take in the spiritual surroundings of Tarn Taran Sahib and then pause for some photo ops at Serai Amanat Khan. Keep things going the next day: contemplate in the serene atmosphere at Gurudwara Baba Atal Rai, then admire the natural beauty at Jallianwala Bagh, then admire the landmark architecture of Akal Takht, and finally indulge your taste buds at Food & Drink. To find reviews, ratings, traveler tips, and tourist information, you can read our Amritsar route maker site . Mumbai to Amritsar is an approximately 4.5-hour flight. You can also drive; or take a train. When traveling from Mumbai in June, plan for a bit warmer days in Amritsar, with highs around 45°C, while nights are about the same with lows around 28°C. Wrap up your sightseeing on the 14th (Fri) early enough to drive to Shimla. Kick off your visit on the 15th (Sat): don't miss a visit to The Ridge, pause for some serene contemplation at Christ Church, take in the spiritual surroundings of Jakhu Temple, then make a trip to The Mall, then explore and take pictures at Indian Institute of Advanced Study, and finally admire the landmark architecture of Viceregal Lodge. To find maps, other places to visit, and more tourist information, you can read our Shimla tour planning website . You can drive from Amritsar to Shimla in 5 hours. Alternatively, you can do a combination of train and taxi; or do a combination of train and bus. Finish your sightseeing early on the 15th (Sat) so you can drive to Sangla. Kick off your visit on the 16th (Sun): wander the streets of Rakcham and then look for all kinds of wild species at Chitkul. For reviews, traveler tips, photos, and tourist information, read our Sangla online travel planner . Traveling by car from Shimla to Sangla takes 7 hours. Finish up your sightseeing early on the 16th (Sun) so you can travel to Nako. 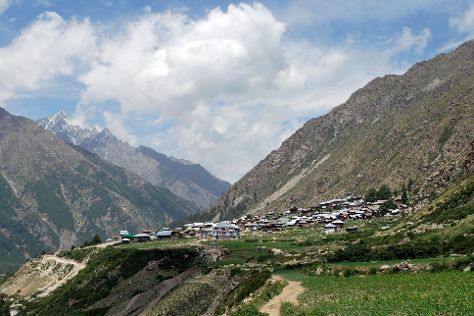 Nako is a village in the Himalayas of northern India, located near the Indo-China border in the Trans-Himalayan region of Kinnaur district in Himachal Pradesh. Kick off your visit on the 17th (Mon): explore the activities along Nako Lake and then contemplate in the serene atmosphere at Nako Monastery. To see ratings, traveler tips, photos, and more tourist information, go to the Nako journey builder app . You can drive from Sangla to Nako in 4.5 hours. Wrap up your sightseeing by early afternoon on the 17th (Mon) to allow time for travel to Kaza. Kaza, is the sub-divisional headquarter of Spiti Valley in the district of Lahaul & Spiti in Himachal Pradesh. Its located at 3600 ASL and is a cold desert. Kick off your visit on the 18th (Tue): don't miss a visit to Komick Village, then take a stroll through Hikkim, then appreciate the views at Spiti Valley, and finally take in the spiritual surroundings of Komic Monastery. To see where to stay, ratings, other places to visit, and tourist information, read our Kaza road trip website . Getting from Nako to Kaza by car takes about 2.5 hours. Cap off your sightseeing on the 18th (Tue) early enough to go by car to Manali. On the 19th (Wed), take in the dramatic scenery at Jogini Waterfall, then admire the verdant scenery at Solang Valley, then explore the activities along Beas River, and finally contemplate in the serene atmosphere at Gadhan Thekchhokling Gompa Monastery. Keep things going the next day: take in the spiritual surroundings of Himalaya Nyingmapa Buddhist Temple, take in the awesome beauty at Keylong, take in the spiritual surroundings of Manu Temple, then take in the dramatic scenery at Zana Falls, and finally take in the spiritual surroundings of Hidimba Devi Temple. To find traveler tips, maps, ratings, and more tourist information, you can read our Manali trip planner. You can drive from Kaza to Manali in 5 hours. Wrap up your sightseeing on the 20th (Thu) to allow time to travel to New Delhi. New Delhi is known for historic sites, parks, shopping, museums, and fun & games. 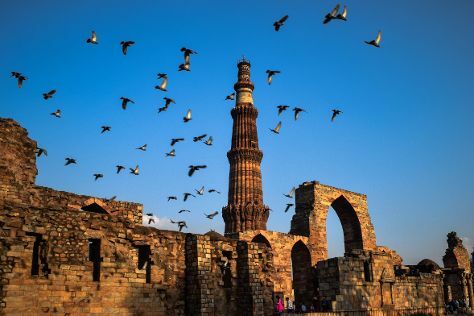 Your plan includes some of its best attractions: admire the natural beauty at Humayun's Tomb, contemplate the long history of Jahanara Begum's Tomb, examine the collection at National Museum, and admire the landmark architecture of Qutub Minar. For ratings, traveler tips, other places to visit, and other tourist information, go to the New Delhi trip maker site . Traveling by flight from Manali to New Delhi takes 3.5 hours. Alternatively, you can do a combination of taxi and flight; or drive. June in New Delhi sees daily highs of 45°C and lows of 32°C at night. Finish your sightseeing early on the 23rd (Sun) so you can travel back home.